First discovery of U.S. ultrahot metamorphic rocks revealed — but how did they get there? Cut and polished slab of gneiss from ultrahigh temperature rocks in Connecticut. 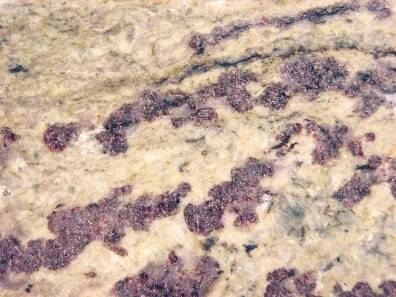 The gneiss contains unique, large red garnets and is strongly deformed. The field of view is about 5 inches (12 centimeters) wide.